types of Plum Cake Cup Machine mold. new mould is to be developed. 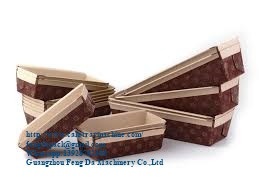 paper food dishes, cake pans, cutlery and containers of cake. help you start and grow your business!We assure you of our best services at any time. Above normal for about 1-5 sets (30) days. TT.30% of the purchase price in advance, the balance paid before shipment. Some countries can accept L / C.
We can send to the Chinese customer designated locations in the machine. Upon receipt of the machine, if the machine has a problem. Our engineers can give your own country. Customer shall pay engineers and shipping.